Dave Hardy is an urban and environmental planner and principal of Hardy Stevenson and Associates Limited, a Toronto-based consulting firm. He has been a Rotarian since 1993. 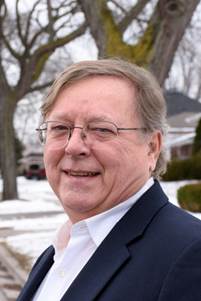 Dave is a serial entrepreneur who led the effort to establish the Scarborough Rotary Community Renewal Organization, which is focused on advocacy, promoting and attracting resources to Scarborough. The Campaign resulted in the establishment of the community-based Scarborough Community Renewal Organization (SCRO) and the Scarborough Business Association (SBA). Also as a result of the campaign, Dave and colleagues started the Institute for New Suburbanism (INS), a think tank that promotes dialogue about the suburbs, metropolitan communities and how communities interact. "I’ve been involved with community-based advocacy groups since my teens. I’m passionate about taking the lead on making or changing laws, policies and practices that improve the lives of people, the economy and the environment. Rotary embodies the core values I hold dear: telling the truth, community service, peace and conflict resolution, helping humanity and building international goodwill. My wife and I have had great experiences at International and District Conferences and we’ve met a lot of interesting people. We particularly like the fellowship and social opportunities. I’m thrilled to welcome people around the world to the Toronto RI 2018 Conference and to show off our City, Region and Province."